The theme letter for our ‪‎travel pics this week is T, for Thailand. For Friday, it’s the Bridge over the River Kwai. But not the only one. In the famous film of the same name, a structure is destroyed at a place called Tha Ma Kham, five kilometres from the Thai town of Kanchanaburi. In fact, there were three bridges built – and both were damaged during the war as was a third, wooden, structure upstream. 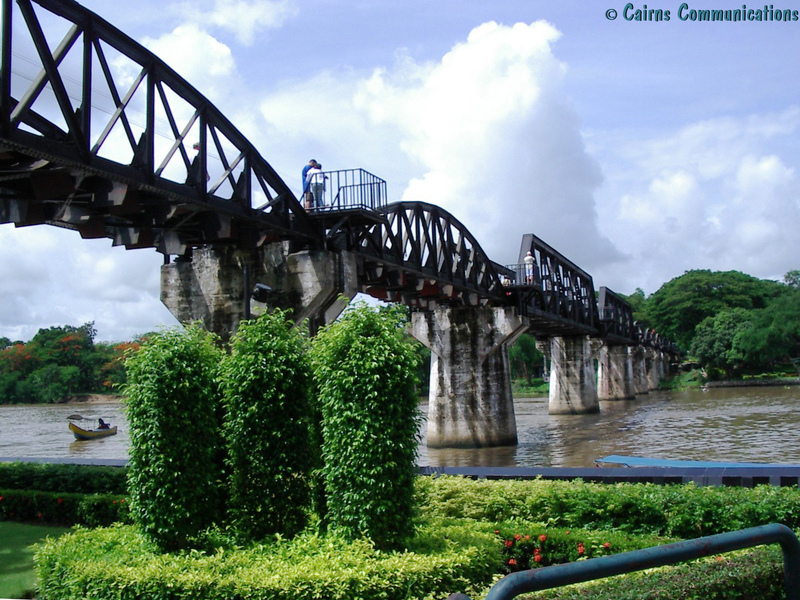 But in any case, this is a genuine Bridge over the River Kwai. You will notice that it has two types of trusses – the rounded ones, which are original, and the square ones – built post-war using Japanese war reparations funds.